Payne v. Novartis, an appeal argued before the United States Court of Appeals for the Sixth Circuit, involved a woman and her husband who sued Novartis, a drug manufacturer, for failing to warn her that its drugs could cause serious damage to her jaw. Those two drugs were Aredia and Zometa. As your Boston pharmaceutical negligence lawyer can explain, Aredia and Zometa are in a class of biophosphate drugs given to patients with cancer to prevent pathological fractures and bone pain. The drugs are administered intravenously. During the early 2000s, members of the medical community discovered a connection between taking biophosphates and developing a serious medical condition known as osteonecrosis of the jaw (ONJ). ONJ is a condition that causes the gums to be eaten away until the bone is exposed. The gums and the bone then die. This is an extremely painful condition that resulted in doctors having to remove part of the patient’s jaw. Evidence was presented that showed Novartis officials were aware of the link between biophosphates and ONJ long before the general medical community. There is evidence that questions and medical tests into this side effect were subverted. The sales force was instructed not to mention this side effect when making calls to physicians. The plaintiff had breast cancer that eventually spread to her bones, so her doctor prescribed Aredia and later Zometa. When she developed a problem in her mouth, he told her to see her dentist. Though the doctor was unaware of the risks of ONJ at the time he started the treatment, when she developed mouth pain he suspended her Zometa treatment due to new information showing a link between the drugs and osteonecrosis. Her oral surgeon removed several teeth, but that did not stop the pain. Eventually he diagnosed her with ONJ and informed her that part of jaw needed to be removed. The plaintiff testified that had she been warned of the risk of ONJ, she never would have taken the drugs. Her doctor still prescribes the medications but now warns all patients of the risks of developing ONJ and requests that they have a dental exam prior to taking the drugs. 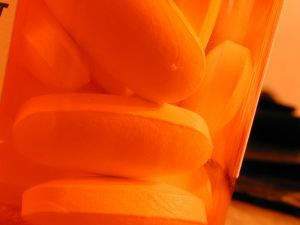 The basis for the plaintiff’s dangerous drug lawsuit was that the drug company failed to adequately warn her of the known risk that she could develop ONJ. Along with defective manufacture, failure to adequately warn is one of the most common claims in any lawsuit against a drug company. The trial court granted defendant’s motion for summary judgment and dismissed the claim on the basis that the doctor was a learned intermediary. Essentially, the question was whether the doctor would have done anything differently to prevent injury had he known about the risks of ONJ. The trial court held that plaintiff’s assertion that she would not have taken the drugs if she knew of the risks was mere speculation. On appeal, the court reversed the trial court’s dismissal, citing the fact that the doctor now warns patients of the risks of ONJ and has patients see a dentist before starting the drugs. The plaintiff also testified that she would not have taken the drugs had she known of the risks. It is up to a jury to listen to the evidence and make a determination, not the trial judge.